Democrats try to save net neutrality ahead of Senate vote on Wednesday. Democratic lawmakers are mounting a last-ditch effort to save net neutrality ahead of a crucial Senate vote on Wednesday, citing concerns that network providers could implement unfair business practices as the internet’s regulatory agency shifts from the Federal Communications Commission (FCC) to the Federal Trade Commission (FTC). The FCC’s Internet Freedom Order, a new FCC rule meant to undo Obama-era internet regulations scheduled to take effect on June 11, will repeal net neutrality rules and make the FTC responsible for oversight of the internet. The order has stoked the fears of consumers, as deregulation of internet service providers (ISPs) could allow monoliths like Verizon, Time Warner, and Comcast to “throttle,” or prioritize, different traffic across the internet. One could ultimately, for example, pay a premium to stream a movie online versus merely reading an article. Markey is not alone. His office says Wednesday’s effort to repeal the Internet Freedom Order is supported by every Senate Democrat, as well as Sen. Susan Collins, a Republican from Maine, putting the Senate vote to repeal net neutrality at a tie. If the Senate succeeds, the vote would then proceed to the House. 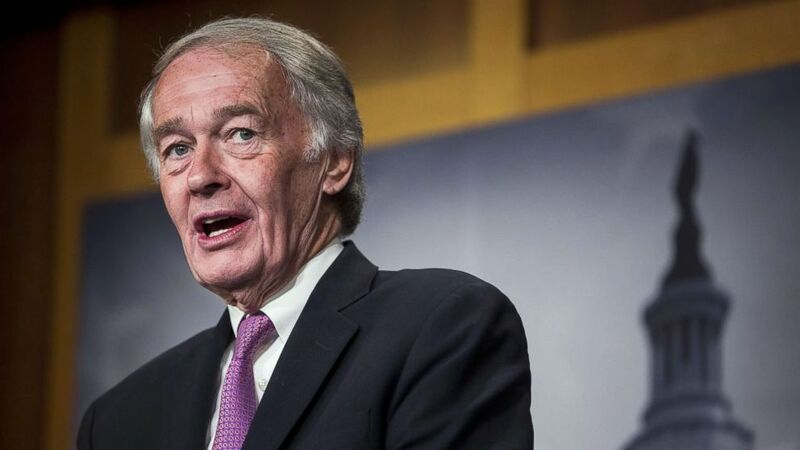 (Zach Gibson/Getty Images, file) Sen. Ed Markey speaks during a news conference on a petition to force a vote on net neutrality on Capitol Hill in Washington, D.C., May 9, 2018. The CRA would require an additional majority in the House, which means 25 Republicans would have to vote in favor of the repeal if every Democrat voted favorably. “We are working on getting the votes, and we’re optimistic that we can,” said Rep. Mike Doyle, D-Pa., when asked if the CRA majority vote could pose a hurdle. If the House also repeals the rule, the rule would land on President Donald Trump’s desk for approval -- which, considering his designation of Ajit Pai as FCC Chairman in the first place, seems unlikely. Mark Cooper, a senior fellow at the Consumer Federation, questions whether the FTC is up to the task of regulating America’s networks. 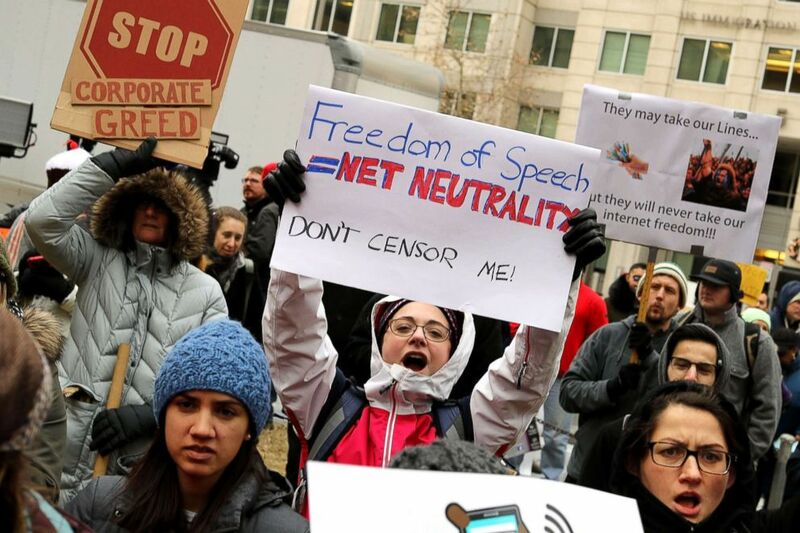 (Chip Somodevilla/Getty Images, FILE) Demonstrators rally outside the Federal Communication Commission building to protest against the end of net neutrality rules, Dec. 14, 2017 in Washington, D.C. 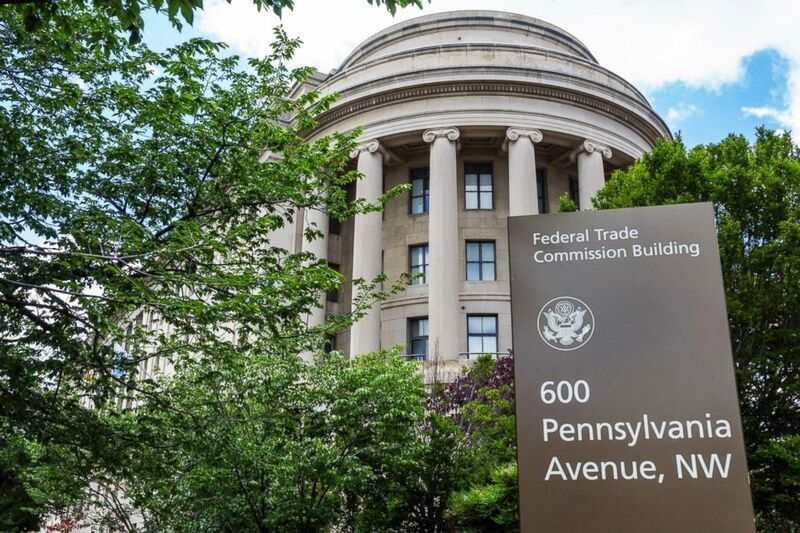 The two agencies, Cooper said, are tasked with expressly different roles: The FCC enacts primarily preventative measures, while the FTC enacts primarily punitive measures. The distinction is a crucial one, according to Tom Wheeler, a former FCC Chairman during the Obama administration. In a November 2017 speech at the R Street Institute, a self-described “free-market think tank” in Washington, D.C., Maureen Ohlhausen, acting FTC chairman, suggested that consumer choice could effectively regulate network providers. “Expect a public backlash against any ISP that degrades applications or limits access to content that its subscribers demand,” Olhausen said. Internet service providers, for their part, see the FTC as the appropriate agency to govern their business. (Jeffrey Greenberg/UIG via Getty Images, FILE) The Federal Trade Commission building in Washington, D.C.
Former FCC chairman Wheeler contends, however, that the internet service providers are in favor of this change because it will allow them to throttle or prioritize internet traffic at will, as long as their terms of service or user agreements say so upfront. As long as internet service providers disclose that they plan to prioritize certain types of content over others, he said, the FTC cannot punish them. Wheeler noted that both Verizon and Comcast have argued before courts for the right to do so. “That’s what [is] at the heart of this thing,” Wheeler said. At the end of her November 2017 speech, Ohlhausen explained customers will ultimately decide the future of net neutrality under the FTC.